* These forms are in PDF format, unless otherwise noted. If you do not have the Adobe Acrobat Reader installed on your computer, you can get it here free. For your convenience, our patient forms and handouts can be printed from our website. Please choose the appropriate form(s) and fill them out completely. We ask that you bring them with you to your scheduled appointment. Handouts may be printed out and kept at home as a reference. If you are an ESTABLISHED patient, we ask that you provide us with an updated demographic information sheet when you come in for an appointment if there are any changes in name, address or phone numbers, employment, insurance or if it has been over 18 months since the last demographic form has been filled out. We also ask that a new health history form is filled out each time we see you for an annual exam. 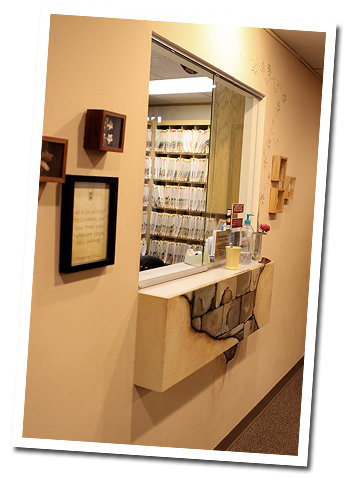 It is very helpful for Dr. Binette to review any changes in your health that may have occurred since your last annual.